Photo courtesy Rosemary Waters and Cheryl Jones. 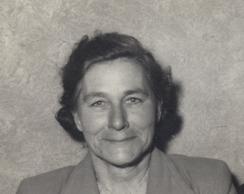 Florence Valerie Marshall was born in Charleston on Christmas Eve, 24 December 1896. When she was young her family moved to what is now known as Marshall Road, Forest Range when her father purchased the lease on one of the “closer settlement” blocks. At the same time the Waters family and the Pollard family also moved to the area. Val is the link between these three families. Two of her granddaughters have assisted us to record her story. Click here to read about Val. June 8, 2015 in Pollard, Waters.